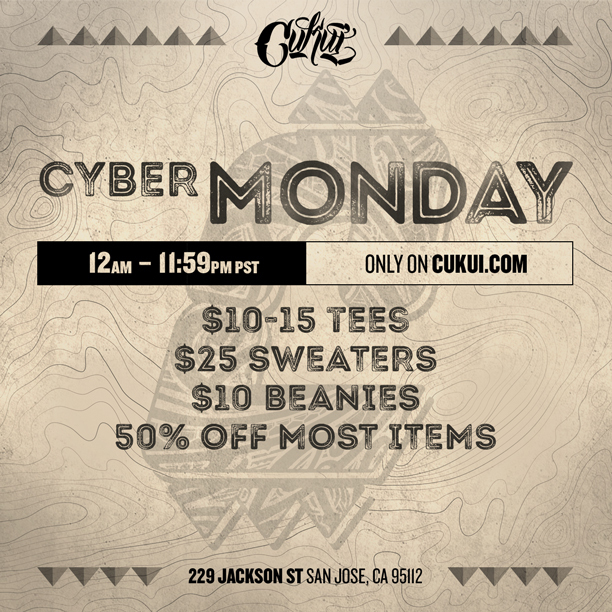 Shop the Cukui CYBER MONDAY SALE! Up to 50% OFF the Online shop. $10-15 Tees, $25 Hats, 50% off most items.